We here at The Pet Beastro want to always provide you with the best quality pet food, treats, and products. Our Promise to you guarantees that we'll do everything we can to make that happen. When we select brands to support at The Pet Beastro, they must fit Our Promise and be the best of the best on the market. Petcurean meets those standards. Providing cat and dog kibbles, cans, and treats, Petcurean offers a better food with real meat ingredients. Both multi-protein and single-protein options are available (good for allergies) and ensures your pet gets more meat and less veggies, which aligns with a protein-rich raw diet. Ingredients are sourced from North America and, as a Canadian-owned and operated company, they follow tougher European Union requirements when manufacturing their product in their own Canadian facility. Now (kitten, adult and senior cat/all, small and large breed dog varieties) - No grains, gluten, wheat, beef, chicken, corn, or soy in this one and no rendered meats, byproducts, added growth hormones, or artificial preservatives. Instead your pet will get ingredients like 100 percent market-fresh meat or fish. And 100 percent fresh Omega-3 and 6 oils from coconuts and canola. Gather (adult cats and dogs) - Organic and sustainable. The same things so many of us look for in our own food goes into Gather: organic free-run chicken, ground eggshell for calcium, Omega-3 and 6 for a healthy skin and coat, complex carbohydrates for energy, DHA and EPA to boost heart and brain health, antioxidants for increased immunity, and cranberries to support urinary tract health. Non-GMO and contains no antibiotics, added growth hormones, artificial colors, flavors, preservatives, wheat, corn or soy, Gather provides everything you want in and all you want out of your pet food! Go! (canned and kibble for cats/canned and kibble for puppy and adult and senior dogs) - Have a picky eater in the house? This limited-ingredient line is highly palatable. Go! was created especially for fussy pets who need a grain-free or higher protein diet, and for those requiring a recipe with unique proteins, or a limited number of ingredients. GO! is a complete, nutrient-packed food with zero growth hormones, byproducts, or artificial preservatives. Also, the low-fat content of Petcurean is great for overweight dogs, as well as dogs with pancreas issues. The low ash and phosphorus is great for senior dogs with urinary issues and, being low glycemic is also great for diabetic dogs. If you're already a loyal Petcurean family, you most likely know about our Frequent Buyer program for Petcurean. For those looking to try something new for your pet, Petcurean offers one free item with every 12 purchases. If you're switching from another brand, we'll help you find which Petcurean formula is right for your pet and we'll take six (6) SKUs from your current brand and apply it to Petcurean's Frequent Buyer program. 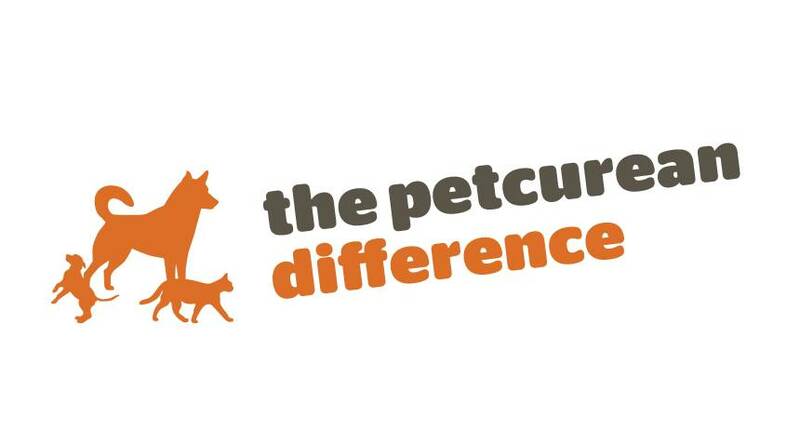 Stop in the store and find out more about the Petcurean Difference today!